As a boy I delivered newspapers in order to earn money. Since it was a morning newspaper, I was required to get up at 3:00 every morning, 7 days a week, in order to have all 140 of my papers delivered to their appropriate homes by 6:00 a.m. But one day each year was different. 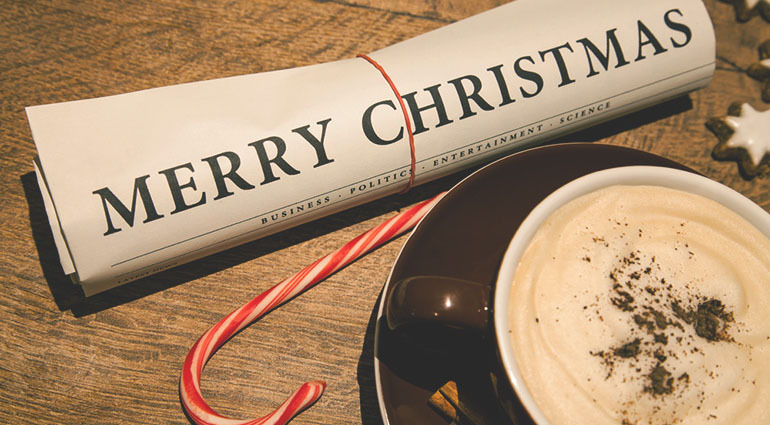 We would deliver the Christmas morning newspaper on Christmas Eve—meaning that Christmas was the only morning of the year I could sleep in and rest like a normal person. Over the years, I came to appreciate Christmas for many reasons, but one that was special in those days was that, unlike any other day of the year, it was a day of rest. At that time, I didn’t fully understand the meaning of the true rest that Christmas brings. Christ came so that all who labor under the weight of a law that can never be fulfilled might find rest through the forgiveness Christ offers. Jesus said, “Come to me, all you who are weary and burdened, and I will give you rest” (Matt. 11:28). In a world that is too much for us to bear alone, Christ has come to bring us into a relationship with Him and give us rest.